The veteran UK metal outfit have been using the song’s inspirational message as part of a fund-raising initiative for the newly-launched Glenn Tipton Parkinson's Foundation in honor of their guitarist who is suffering from the degenerative neurological disorder. “All proceeds we receive from you will go to this cause and I urge not just Judas Priest fans but everyone out there to help,” adds Tipton. “If you can't get to the shows, you can also purchase t-shirts on line here. 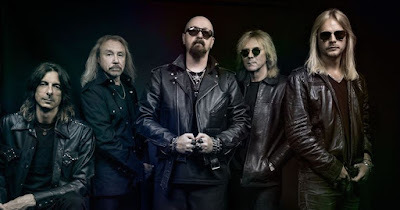 Judas Priest will wrap up the European leg of the “Firepower” world tour early next month, following which the band will return to North America to team up with Deep Purple for a 25-city co-headlining run that will begin in Cincinnati, OH on August 21.